Audiobooks on digital cartridge. Search our Catalog. 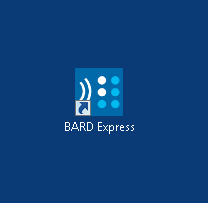 Braille and Audio Reading Download (BARD). BARD Mobile App (for iPad, iPhone, iPod Touch users only). Braille Books. Search our Catalog. Large Print Books for Children, Teens and Young Adults. Search our Catalog. Magazines: Audio and Braille magazines are available for TBBC’s members. Call TBBC for an updated list of available magazines in both audio and Braille formats. 800-792-8322. ◾Call TBBC toll-free at 800-792-8322. Hours: Monday – Friday, 8:30am to 4:00pm. ◾Review our Frequently Asked Questions (FAQs) page.